...is what we are all about! We provide phone covers that enable anybody that finds your phone to contact you even if the screen is locked or the battery is dead for just £14.99 including UK postage (£19.99 for rest of the world). Activate your contact profile - this can be updated at any time so that you can easily be contacted if your mobile is found even when the phone itself cannot be accessed. 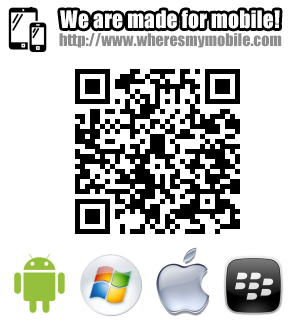 Every wheresmymobile phone cover contains a unique code enabling you to be easily contacted via your contact profile that can be updated here at any time. A finder can either scan the QR code using their smartphone or enter the reference number manually via our website or mobile web app. You decide exactly which contact details you wish to provide. If you prefer not to be contacted directly by a finder, we can forward a message directly to you on their behalf. 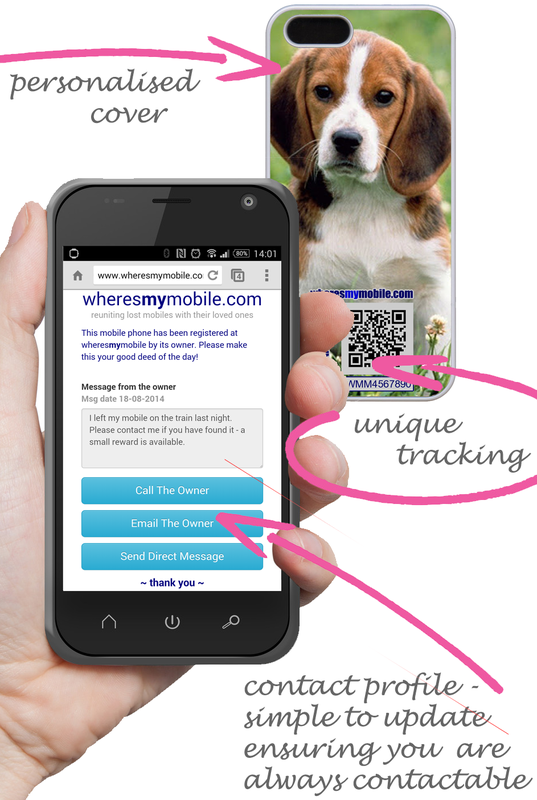 So as well as getting hold of a great looking personalised mobile phone cover to protect your phone, you also increase the chance of getting your phone back if it's lost. Have a question? Please see our FAQs.